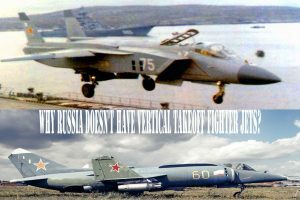 Home / Air / Why Russia Doesn’t Have Vertical Takeoff Fighter Jets? Why Russia Doesn’t Have Vertical Takeoff Fighter Jets? Soviet Union have developed its own jump jets and fielded them on its first aircraft carriers. It even dispatched a few for combat flights in Afghanistan. 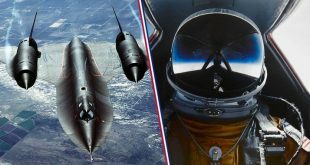 Even stranger, the design DNA of the Russian jump jets ended up in the most expensive weapons program in history, the F-35 Joint Strike Fighter. The reasons why it abandoned the troublesome aircraft a quarter century ago point to the problems inherent to VTOL jet technology. The Soviet Union began experimenting with VTOL technology in the 1950s with a bizarre test rig called the Turbolet and a crane conductor’s cab. It mounted an RD-9BL turbojet engine, taken from a MiG-19, oriented downwards to provide vertical thrust, while four directional thrusters on the arms were used for maneuvering. Though it could hover around on its jets like helicopter, the Turbolet didn’t have a proper horizontal-thrust flight mode. As the British demonstrated the capabilities of the P.1127—the ancestor of the Harrier—in 1960, the Soviet Union was spurred to make a proper VTOL airplane, the hideous-looking Yakovlev Yak-36. It had two R-27 turbojets with intakes squashed together in an open nose, with the rear nozzles capable of rotating to provide vectored thrust. Compressed air thrusters on the tail, on the tips of its undersized wings, and at the end of its unicorn-like nose boom provided directional maneuvering. It took five years of testing to get the Yak-36 to the point where it could transition between vertical liftoff and horizontal flight. Lacking the range and carrying capacity to serve as a proper combat plane, the Yak-36 was instead a stepping stone to the carrier-borne Yak-38. The Soviet Navy at the time was tentatively dipping its toe in the water of operating aircraft carriers, starting with Moskva-class helicopter carriers in the 1960s. It wasn’t ready to commit to building the enormous super carriers with long flight decks used by the U.S. Navy. VTOL aircraft seemed to offer a way out. Thus, the Kiev, the first true Soviet aircraft carrier when it was commissioned in 1975, was designated a hybrid cruiser-carrier. The front deck of the Kiev and its sister ships was bristling with antiship and antiair missiles and even torpedo tubes, while the flight deck at the rear housed sixteen Ka-25 antisubmarine helicopters and around twelve Yak-38 jump jets. The latter had stubby wings with folding tips to facilitate storage. These often used a runway angled on the port side of the Kiev to make short take of runs with added lift from jump jets. This was preferred over a completely vertical liftoff because it consumed less fuel and permitted a heavier weapons load. The Yak-38, code-named Forger by NATO, actually entered service in 1976, three years earlier than the Sea Harrier. Like the British plane, it could fly just short of the speed of sound, at around 680 miles per hour. Unlike the Harrier, it had two dedicated lift jets behind the cockpit in addition to a single RD-27 vector thrust engine; the additional jets resulted in higher fuel consumption, limiting range to around two hundred miles at best, and less if it performed a vertical takeoff. The Soviet Union produced 231 Yak-38s, including fifty-two upgraded Yak-38Ms in the 1980s with more powerful R-28 engines and more rugged landing gear. Pingback: Yak-141 Returns: Vertical Takeoff Aircraft Coming Soon to the Russian Navy?